Following the Environmental Audit committee’s inquiry in regard to paper cup recycling and their proposal for a tax or levy is to be raised on disposable paper cups, the issues of sustainability and recyclability within the retail and high street markets have never been more keenly in the public eye. The whole of the UK cup market faces an unprecedented challenge. One of the hurdles facing us in the paper cup industry is educating the consumer that these cups are, in fact, recyclable, Combine this with changes in recycling infrastructures, paper cups offer sustainable solutions to the ever-growing on-the-go market. 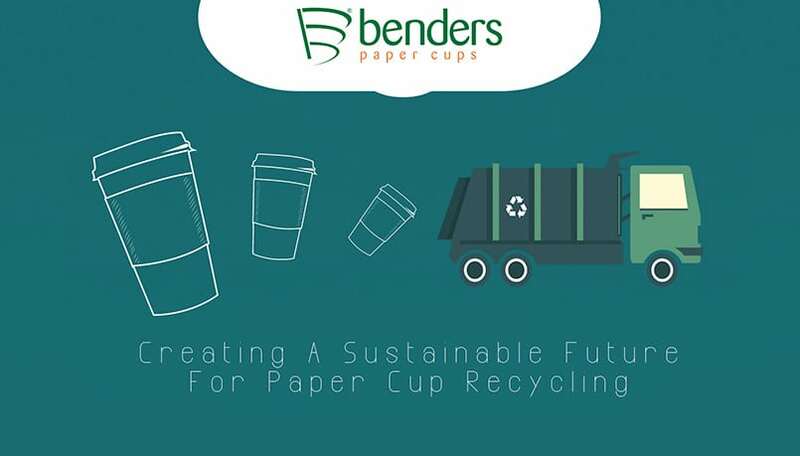 As a leading UK based paper cup manufacturer and a member of the Paper Cup Recovery and Recycling Group (PCRRG) it is our responsibility to pioneer the change to ensure our cups are sustainable and are able to be recovered and recycled within an organised and efficient waste management infrastructure. 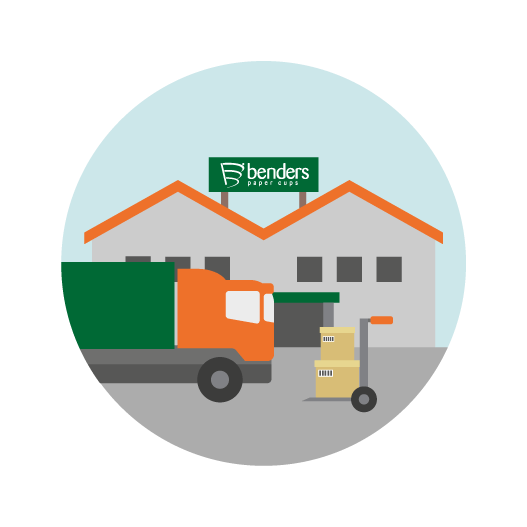 Here at Benders, the story starts at the source; with virgin paperboard from PEFC certified sustainably managed forestry, where for every tree felled, 3-4 saplings are planted in its place. As a manufacturer, we have also ensured that we have been zero waste to landfill for the past 5 years so we ensure all of our industrial waste is recycled. The current issues of recyclability have been reflected in our on-going commitment to spearheading drives that will sustain the increase of recycling of paper cups throughout the UK. As a founder member of the Paper Cup Recovery and Recycle Group (PCRRG) we work across the supply chain to support the delivery of their manifesto, to ensure that by 2020, the majority of the UK will have access to schemes and facilities that enable used paper cups to be efficiently recovered and recycled. Initiatives from the PCRRG are already driving recycling rates and growing the infrastructure which has provided over 4000 collection points added within the last year. The group also supported the Hubbub square mile challenge promoting consumer behaviour change and awareness of paper cup recycling which established a network of 174 recycling point across the city of London during 2017. Through the Paper Cup Alliance, we have recently launched a nationwide scheme in collaboration with the Alliance for Beverage Cartons and the Environment (ACE UK) creating an additional 382 recycling points in 97 local authorities from the beginning of this year. The second phase of this initiative will be to extend this into curbside recycling during the course of 2018. This new infrastructure for paper cups is the beginning of creating new value in post-consumer paper cups. For us this represents another positive step forward in our commitment towards a sustainable manufacturing future which we continue to research and develop innovative ways of working with our partners to achieve new levels of consumer education and infrastructure to deliver the sustainable and recyclable solution for paper cups we all want.